awesome tutorial! I love orchids but they've always died, and I didn't know how to revive them.. Thanks, I'll try again. You make it look so easy. 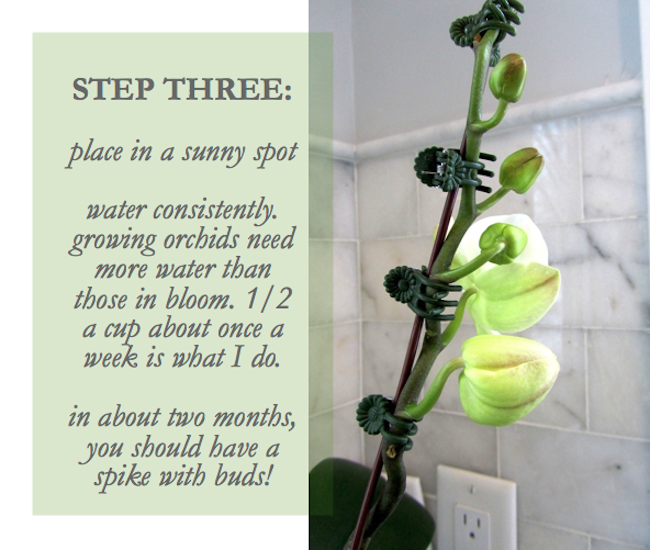 Great info....I'm gonna have to run out & buy some orchids now. I always threw them out when all the blooms fell off! Fabulous info. I stupidly cut my stalk. Now I am just watering leaves that are growing.....but I will up the water, as I am watering so little! It has been a year so I hope something will happen sooon! 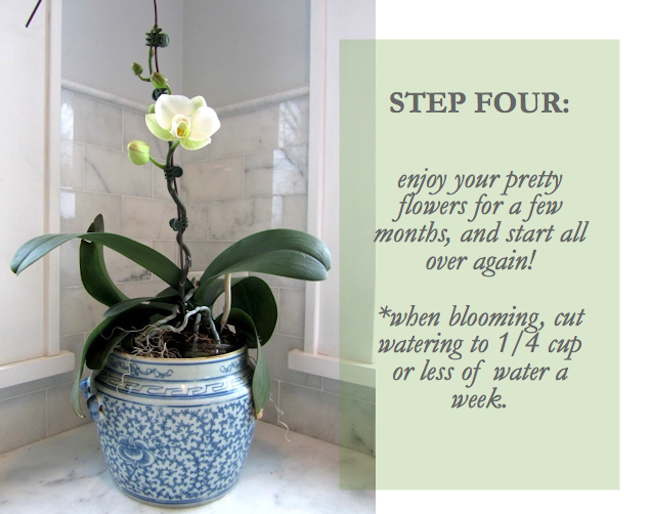 ah, alas, I have never been able to keep an orchid alive, these are great tips!! 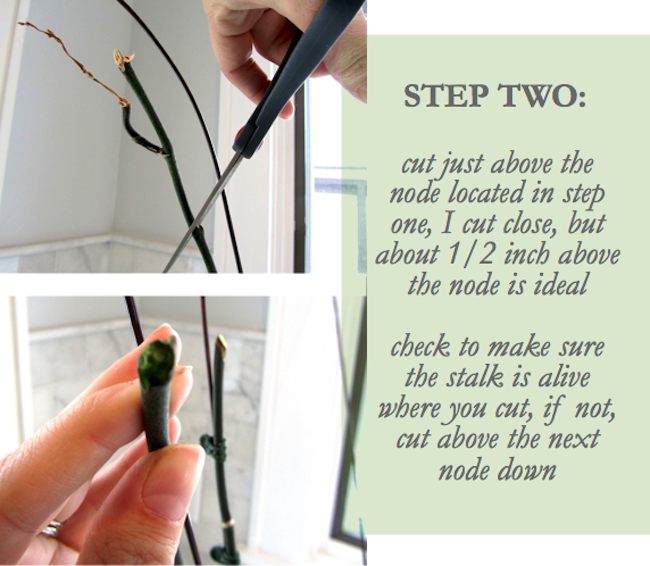 It's ok to completely cut your stalk - I did that to the one pictured with the flower now because it was super dead. Growing new leaves means that your orchid is regenerating!! If you up your watering a little bit, I bet you will have a new stalk start to shoot in no time! 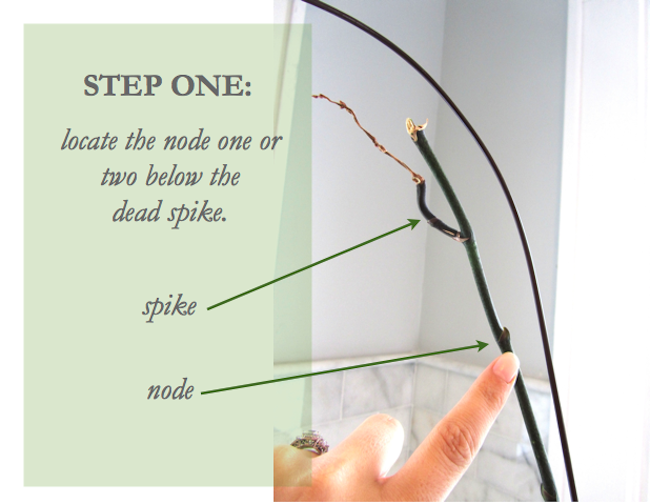 Just keep being patient, and watch for one to pop out somewhere between the leaves - as soon as it it long enough to clip to a wire/dowel, do so so that it continues growing upward. Wow-a fellow black thumb who revived an orchid! I have killed 3. I am printing this so I can attempt to have a 4th. What if the leaves have died? Is it then beyond hope? I read you should seal the "cut" end with wax, is that true? That is great to know. I usually just throw them out. But where do you keep them while they are growing back and looming ugly? I read to seal a cut with cinnamon powder, leaves with damage too. It dries it up preventing fungus and bacteria from entering the wound.